EXCLUSIVE: Local Motors to 3D Print Several Models of Cars: Boats & Planes Next? I’ll be honest, when Local Motors announced earlier this year that they soon would be 3D printing an entire car within a span of just 6 days, at the International Manufacturing Technology Show (IMTS), I was one of their biggest skeptics. How could you blame me? After all, we have all seen how long it takes to print out a simple smartphone case on a Makerbot Replicator, or similar machine. Boy did I underestimate the team at Local Motors, and their CEO Jay Rogers, who happens to have a background in the U.S. Marine Corps. 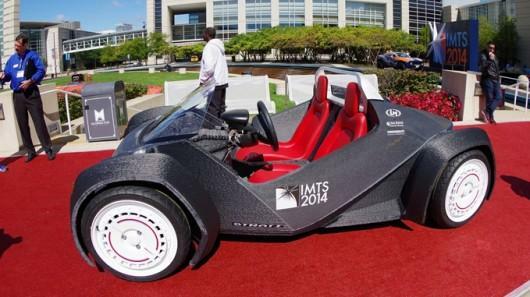 Earlier this month, the company managed to 3D print the Strati car, which they drove out of the IMTS venue and into a Chicago street without any trouble. In a brief 30 minute conversation I had with Rogers, his drive to success, innovative thinking, and ability to recognize boundaries prior to breaking right through them, has shown through. The man truly has a plan to take 3D printing to the next level, and use his company, Local Motors, as the vehicle (quite literally) to do so in a big way. In the short interview, I was able to obtain a tremendous amount of information about the future of the company, and where Rogers sees Local Motors headed next. Local Motors will begin offering the Strati car for sale as a neighborhood electric vehicle, meaning it will not be permitted on the highway at first. It will be priced at between $18,000 and $34,000 and go on sale within 12 months (likely sooner according to Rogers). The Strati will not be the only model offered, however. Rogers pointed me to the 207 design proposals that they had received for vehicles when they launched their 3D printable car design competition back in June. Fifteen of those models could easily be 3D printed, he said, and this gives them an immediate slate of designs for future models. If they could manage this sort of productivity increase over just a three week period, imagine where this technology could be in another year, three or five. “The theoretical limit of extrusion technology is 1000 times faster, so I don’t think it will be long before we can print much faster,” Rogers stated. He went on to explain that there are currently over 50 different polymers which could be used right now in the production of a 3D printed car. 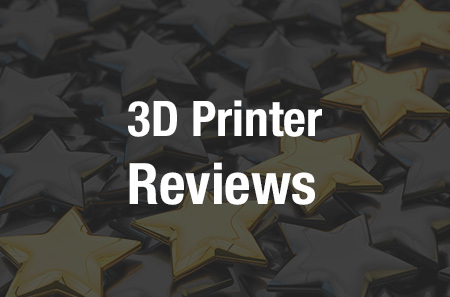 ABS has the advantage of being affordable, however, polymer science has come a long way and there are certainly some tremendous options out there. 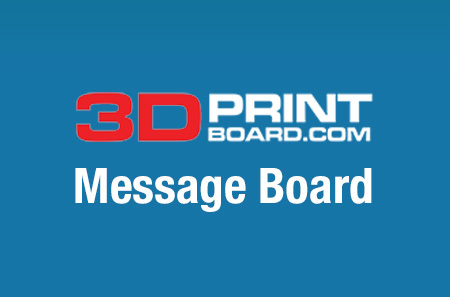 For those of you interested in printing your own Strati, there’s some good news. Local Motors has plans to shortly upload the model to their site and allow you and I to 3D print a model of the car on our desktop 3D printers at home. “Not an actual size car, although I’m sure some people are going to try and do that too,” stated Rogers with a chuckle. What do you think of these ambitious plans by Local Motors? Discuss in the Local Motors forum thread on 3DPB.com.